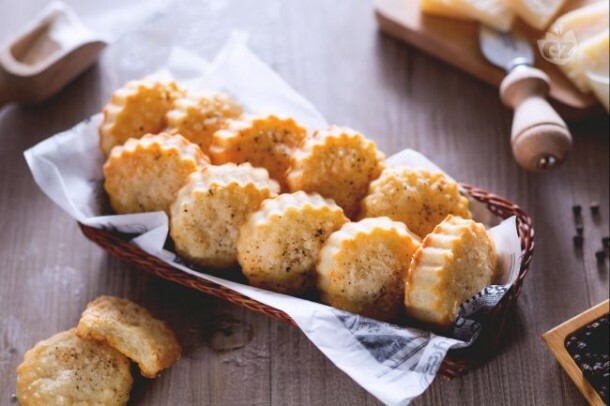 These savoury biscuits made with both authentic Pecorino and Parmesan cheese are a tasty treat for picnic, parties or just to snack on at home! 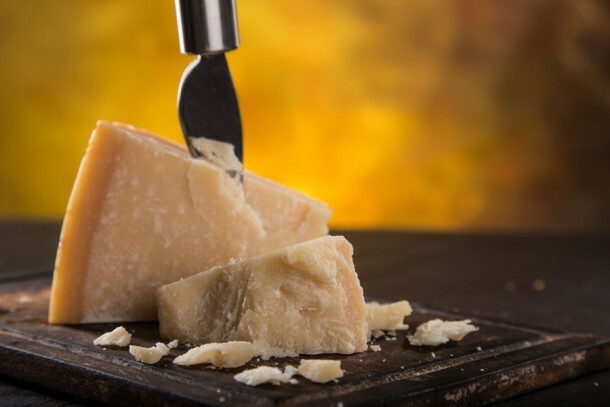 They are really easy to make, but good quality cheese is essential for the best flavour. We added Pecorino as well as Parmesan to give a sharper, stronger taste to the biscuits! Place the flour in a mixer; add the Parmigiano Reggiano and Pecorino cheeses, the cold butter cut into pieces, the salt and pepper. Put the mixer on medium speed and add the milk little by little. Work the dough for few minutes, roll it up in cling film and let it rest for 30 minutes in the fridge. Remove from the fridge, knead the dough and roll it out with a rolling pin. Cut out the desired shapes of biscuits with a cutter. Place the biscuits on a baking tray and sprinkle Parmesan and pepper over them. Enjoy these tasty biscuits on their own or as part of an antipasto platter, served alongside a selection of Italian cheese, olives, sun dried tomatoes, grilled peppers in oil, bruschette, pate’s and sauces. A refreshing Prosecco would be the perfect wine to accompany this delicious Italian spread.